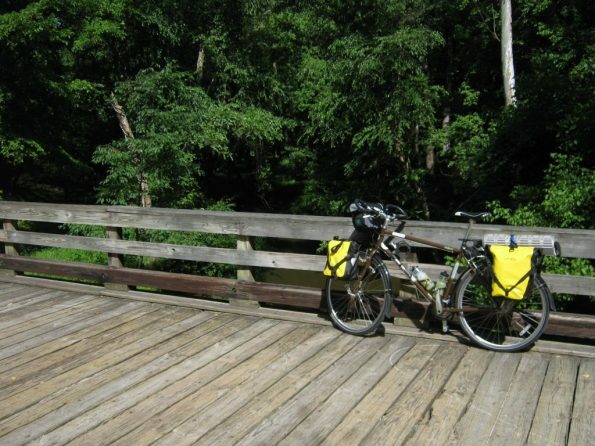 A friend recently alerted me to an overnight bike trip being organized by a local independent bike shop. We’ve both been interested in expanding our camping skills to include travel by bicycle. He was unable to go, but I seized the opportunity to end my procrastination and get an S24O under my belt. My gear for backpack camping has finally evolved down to a load of under 30 pounds. Key items include a Six Moon Designs Lunar Solo tent, an REI Radiant 40 degree down bag, an REI Flash insulated air mattress, a Jetboil stove, a Cascade Designs chair kit with short Ridgerest pad, a couple of small dry bags of clothes, mug/bowl/utensils, and a bag of food. A few other small items like a headlamp, toilet kit, sunscreen, etc round out my kit. The gear easily fit into a full set of Ortlieb Front and Rear Roller panniers on the Novara Safari touring bike I bought last year. I rode two supported tours of 400+ miles on this bike, but I had only ridden it fully loaded in my daydreams. It was time to change that! Oak City Cycling Project takes it’s name from the city of Raleigh, commonly known as the “City of Oaks”. They are a fairly new bike shop catering to “regular people” interested in cycling. They organized a few S24O trips in the past year, with a dozen or so riders participating each time. The upcoming trip was scheduled to start on a Saturday evening in late June. 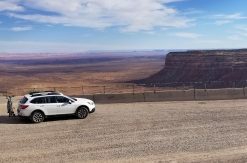 They promised a route of 25 miles to the campground, returning the next morning. In keeping with the spirit of travel by bike, I decided to ride from home to the bike shop. 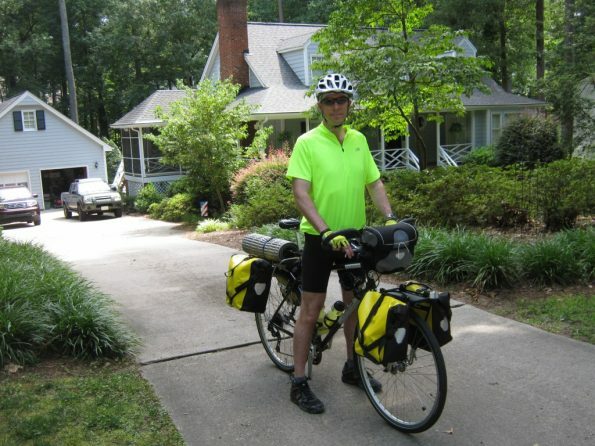 Riding to Raleigh from the adjacent town of Cary would add about 13 miles to my route and give me a little time to get used to riding with a load before riding with the group. 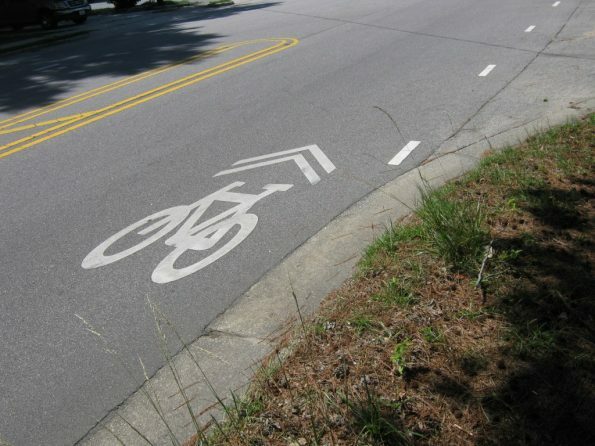 Piecing together a series of marked bike lanes, signed bike route sections, and some low-traffic-volume side streets, I was able to to get from my neighborhood to one of Raleigh’s paved greenways without having to deal with too much heavy traffic. 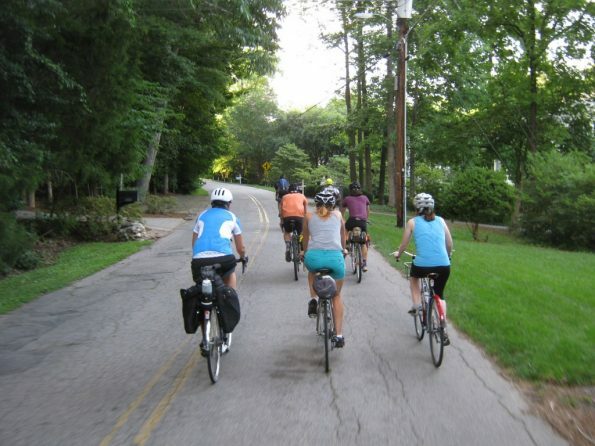 Raleigh’s Capital Area Greenway System contains over 100 miles of trails. In the last few years, the system has completed key connections that allow fairly long stretches of travel on greenways. I joined the Walnut Creek Trail at the east end of the Lake Johnson Nature Preserve. Happy to be away from vehicle traffic and the hot afternoon sun, I followed this greenway eastward along a small, shady creek and into the Centennial Campus of North Carolina State University. 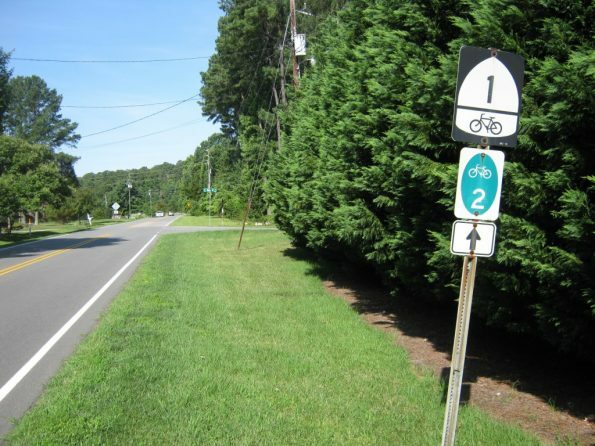 Walnut Creek Trail continues another eleven miles to connect with the Neuse River Greenway on the east side of Raleigh. But I was heading to downtown Raleigh, so I left the greenway and cut through the Dorothea Dix campus. The Dix campus is a state-owned property that has long served as a mental health facility. Its grounds have large open green spaces and may soon be managed as a regional destination park. 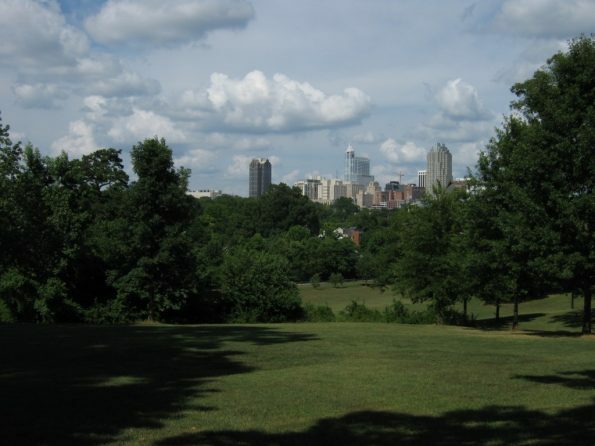 The view of the city skyline above rolling green lawns and a thick oak tree canopy was amazing, considering how close I was to the downtown area. After just a few city blocks I found myself in front of Crank Arm Brewing. Their slogan of “Beer love. Bike love.” should leave no doubt why I chose to make a stop here on my S24O route! A pint of Rickshaw Rye IPA went down perfectly on the outside patio, as I sat next to my loaded bike. In keeping with the day’s cycling theme, the local Trolley Pub rolled by while I was there, with all 14 riders pedaling away merrily. Many of them also seemed to be loaded, but in a different way. Leaving Crank Arm, I rode north for several blocks before turning east on Jones Street. Riding through the downtown area wasn’t so bad late on a Saturday afternoon. 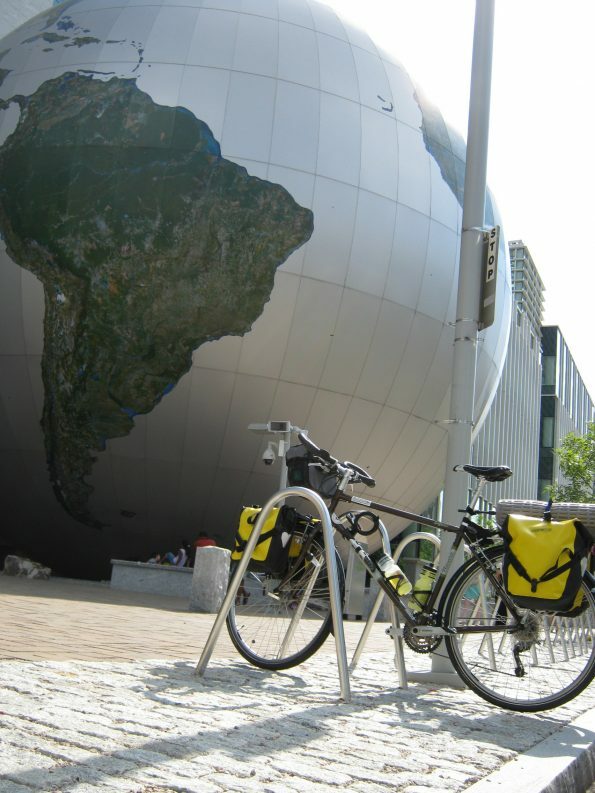 The trip through the heart of downtown was quick, despite riding past the southern end of South America (see picture of four-story globe on the side of the NC Museum of Natural Sciences). 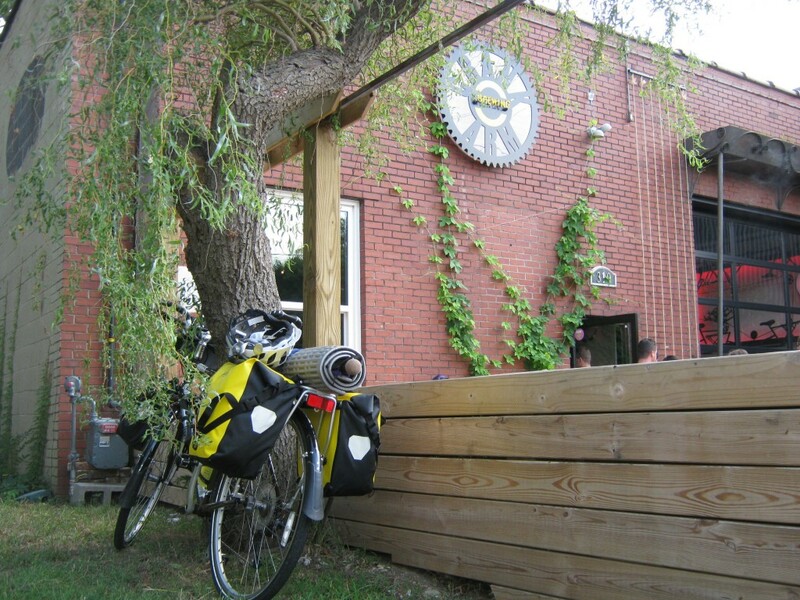 Oak City Cycling is tucked into the basement of a small building on the north edge of the downtown business district. Their relatively small space is packed with bicycles and gear. David, one of the owners, greeted me when I rolled down the ramp to the garage door that serves as their entrance. Several other riders came in one by one. After a few introductions our group of eight headed out through nearby neighborhood streets. 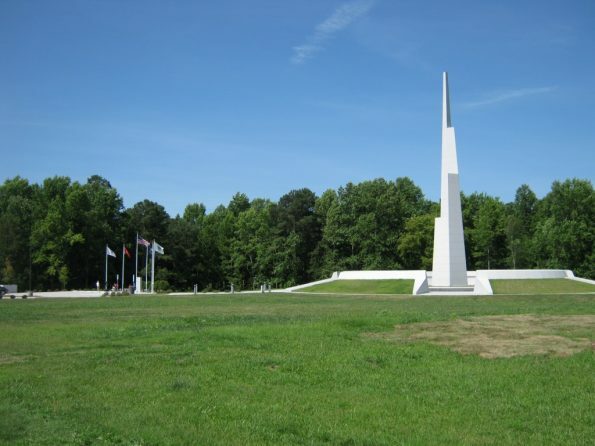 In less than two miles we turned onto the Crabtree Creek Trail where it crosses Raleigh Boulevard. Transitioning to the greenway marked our departure from an urban street environment to one even more green and relaxing. We passed under or over several major roads as we followed Crabtree Creek to the northwest, but it felt like we were in a separate world. Our route turned to follow the Mine Creek Trail greenway northward, going past Shelley Lake. We eventually rode beyond the current reaches of the greenway system. 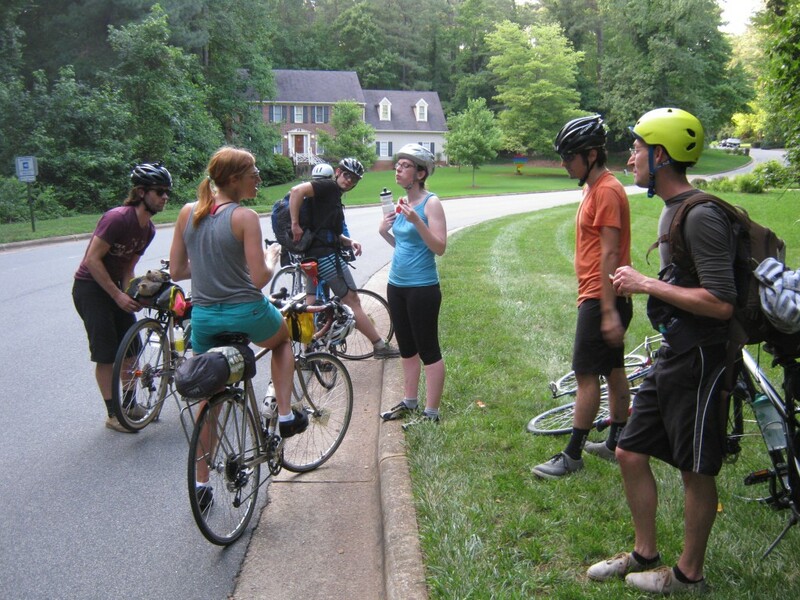 The ride leaders knew a route that kept to neighborhood roads and led us further north and away from the city. Eventually we even rode beyond the suburban sprawl and found ourselves on rural roads. 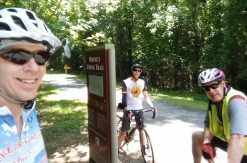 A final few miles on New Light Road, also followed by US Bicycle Route #1, led us to the entrance of Shinleaf Recreation Area. 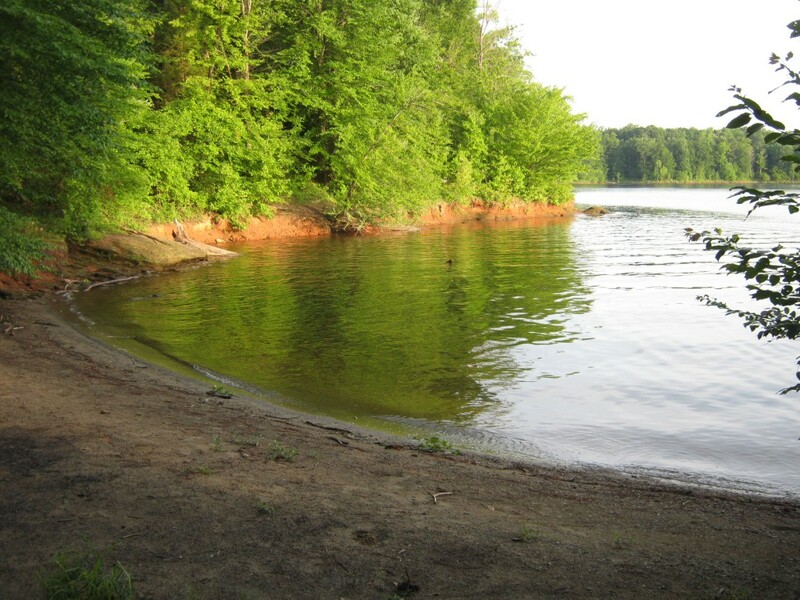 This campground is part of the Falls Lake State Recreation Area. We arrived at the Two Oaks group camping site and met two riders who had ridden over from Durham. About half of the group hung hammocks and the rest pitched tents. Despite having just spent over two hours with most of the group, there was still much getting to know one another to do. Snacking and conversation were soon accompanied by the sunset coloring a few wispy clouds above the trees. 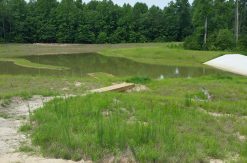 The Two Oaks site is located on a peninsula that sits above a neat little sand beach in a cove along Falls Lake. We walked down to the beach and enjoyed a swim beneath the stars. Dinner cooking and a campfire followed, as well as more conversation. Some even went so far as to shower off at the bath house. There may have been a very late bike ride through the campground, although I didn’t see it from my horizontal position in the tent. Being the oldest in the group, I had claimed the right to hit the sack first. Going to bed first may explain why I had time to sleep late (for me), rise, cook breakfast, walk around, take pictures, and pack up my gear before anyone else stirred. I did wait until most were up so I could thank them for organizing the trip and sharing the experience with me. I bid them adios just before 9am and rolled on. Instead of following yesterday’s route back to the bike shop, I chose to take a more direct route to my home in Cary. Several of the roads I followed were probably at their most bike-friendly on this beautiful Sunday morning. The overnight temperatures had dipped about 10 degrees lower than they had the preceding several weeks and the morning felt great. I eventually reached Umstead State Park. 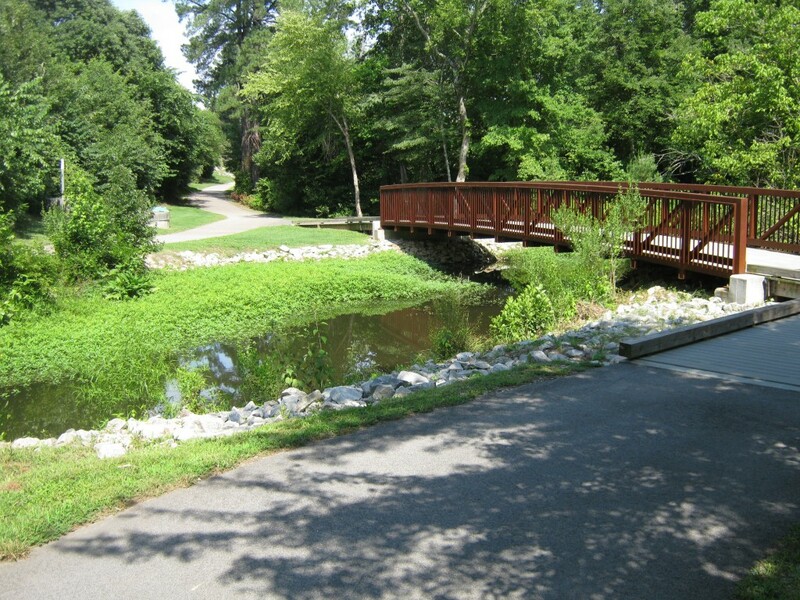 The wide, graveled bridle paths in the park are quite popular with cyclists and connect to both Raleigh’s Capital Area Greenway System and the Town of Cary’s greenway system. 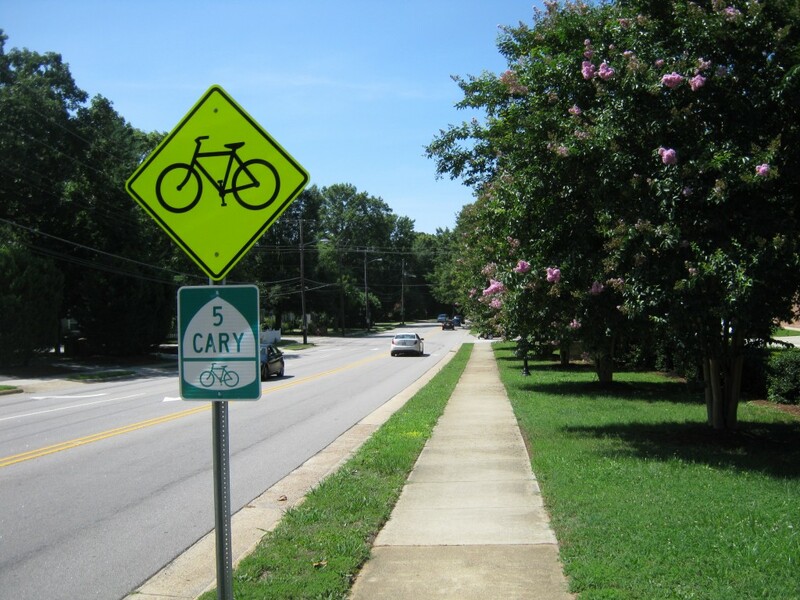 I could have followed greenways for most of the last ten miles of my ride, but with the light Sunday morning traffic I decided to just follow a couple of Cary’s signed commuter bike routes through town. 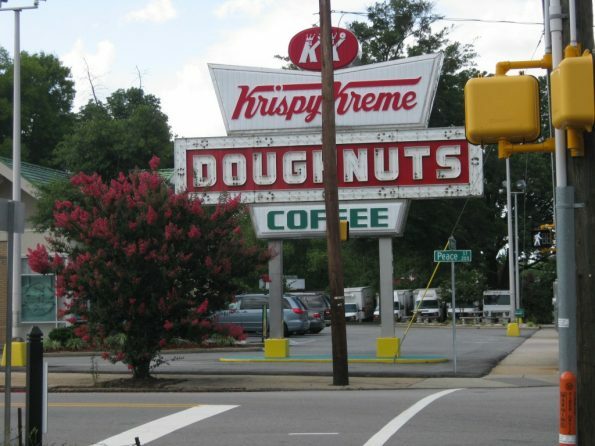 Routes #7 and #5 offer a straight shot through the historic district and to within a few blocks of home. My mileage for Saturday was just over 38 miles. Sunday’s mileage was about 26 miles, giving me a trip total of 64 miles. Not only had I ridden a respectable number of miles, I enjoyed a number of local sights and met some new friends. I walked back in the door 21 hours after I left, successfully completing my first S24O. It will not be my last!